Record Store Day, the annual celebration of limited runs of the antiquated data storage device known as vinyl and once the scene of hipsters when it started in 2007, has helped fuel a surprising resurgence in sales and pushing the remaining pressing plant capacity to the hilt. As is tradition the event will be taking place on the third Saturday in April. For 2016 that means Saturday, April 16th. At a time when music sales continue a decaded long dizzying slide vinyl sales not only rivaled CD sales, revenues have surpassed streaming services like Spotify and Pandora. As vinyl grows in popularity there’s is pressure on the remaining vinyl manufacturers, who like us all were caught off-guard by the resurgence. The demand for vinyl is partially due to its described ‘warmer’ sound (plus cooler gatefold covers!) 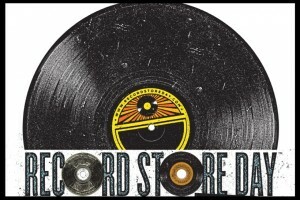 But the real drive behind Record Store Day is uniqueness and scarcity of offerings. Many releases come on colored vinyl or as picture discs and many of the releases are produced in very limited runs, some totaling no more than a few hundred total. This stands in direct contrast to digital music’s hemogeny of sound and structure. an MP3 might be convenient, but it’s never scarce or unique. Check out the Americana and roots selections below and take a look at the full list. Get to your favorite indy record early on April 16th (I’ll be at Good Records in Dallas) and share those great finds with me on Instagram and Twitter. More Info: A classic DIY release, Field Rexx was made in the sweltering summer of 2004 with no budget amidst the hiss of flies and tape. “Recorded,” according to the liner notes, “at the carny shack, fer shook n timsel on Duke’s shoot-o-matic for tisks & soda & that ol’ broke 4-track that 3-fingred mike poured Old English on and lit on fire,” Rexx’s warped eclectic pop Americana proves that great songs and performances can transcend squalor and bad album art. Features archival material of the original Trapper, James Earley, performing snippets of traditional hillbilly tunes. Field Rexx is Blitzen Trapper’s self-released sophomore album originally released in 2005. It was remastered at the tail end of 2015 and is available on Record Store Day for the first time on vinyl. A free download code including 3 previously unreleased bonus tracks is included. More Info: Brandi Carlile – Live At KCRW ‘Morning Becomes Eclectic’: Brandi Carlile is a long time favorite of record store owners and she is one of the most celebrated names in modern alternative country/folk rock.This very special Record Store Day Exclusive release features six session tracks recorded live at KCRW as part of their “Morning Becomes Eclectic” sessions and includes the smash radio hits “The Eye” and “Wherever Is Your Heart” on White Colored 12 inch vinyl. Limited to 2500 copies. More Info: All Aboard the Blue Train with Johnny Cash was originally released on Sun Records in 1962. The album features prime selections of the Man In Black’s recordings between 1955 and 1958, including classic songs “Hey Porter” and “Folsom Prison Blues”. Previously out of press, it’s coming back on appropriate blue vinyl for Record Store Day 2016. More Info: Side A features Clark’s new hit single “Girl Next Door.” Side B features the track “Homecoming Queen,” plus the same song covered by Sheryl Crow. Pressed on random mixed blue, yellow and red vinyl. More Info: This limited edition 7” vinyl EP was originally created for Bob Dylan’s recent Japanese tour. We were able to secure a limited quantity for Record Store Day. The EP includes 4 songs from Bob Dylan’s upcoming album, Fallen Angels, pressed on 7” red vinyl. More Info: Austin TX’s Watermelon Records was founded in 1989 and released nearly 100 records in its short life. Its catalog lay dormant until 2010 when New West Records picked it up and chose Record Store Day 2016 to relaunch Watermelon Records with two beautiful remastered classic from Alejandro Escovedo. Gravity is a 2LP set pressed on 180g vinyl and packaed in a one of a kind die-cut linen jacket along with a foldable insert and download card. More Info: For Record Store Day 2016, Jay Farrar’s (Son Volt, Uncle Tupelo) Sebastopol is available for the first time on vinyl. This very limited, hand-numbered release comes on white vinyl featuring Gillian Welch and members of the Flaming Lips and Superchunk. The double LP also features the 5-track EP never before released on vinyl, thirdshiftgrottoslack. More Info: The long awaited audiophile-quality vinyl reissue of Emmylou Harris’ 1995 Grammy winning masterpiece Wrecking Ball, produced by Daniel Lanois (U2, Bob Dylan, Neil Young, Willie Nelson) and featuring appearances by Brian Blade, Neil Young, Lucinda Williams, Kate and Anna McGarrigle, among others. Includes original album sequence as well as outtakes and alternate versions from the original recording sessions. This Record Store Day release features three 180 gram LPs remastered with bonus tracks, and 4 page lyric insert. Limited to 5,000 copies. More Info: From the summer of 1969 to the final show in march of 1971 (58 episodes in all), The Johnny Cash TV Show not only exposed an American audience to an eclectic array of musical talent, but also helped establish Johnny Cash as a true artist, humanitarian, and a larger-than-life legend. The 16 performances contained on this new Best-Of LP, made especially for Record Store Day, and for the first time on vinyl, showcase the spectrum of incredible performers that Johnny hand-picked to be on his show, many for their first network appearance. So, “come along and ride this train” – the train that Cash envisioned for us all – every week on The Johnny Cash TV Show, and now, for generations to come. Limited to 5,000 copies. More Info: This Record Store Day six track EP was recorded live at Grimey’s in Nashville, Tennessee by one of our favorite new artists on the music scene, in June 2015 as part of the celebration of Americana Music Month. Limited to 1500 copies. More Info: At a Songs:Ohia show in the early ’00s, Jason Molina said to the artist William Schaff that he would love to see himself depicted as one of Schaff’s signature, skull-headed creatures. The two struck up a pen-pal friendship and Schaff sent Jason his picture. In return, he asked for a recording of the Townes Van Zandt covers Jason had performed that night. The pair of Van Zandt covers included here, recorded at Molina’s home on the north side of Chicago, symbolize not only the creative turn Molina’s songwriting had taken (seen in his forthcoming Magnolia Electric Co. release) from sparse and jagged indie rock to rootsy folk rock, but also a sonic bond between two friends who loved each other’s work very deeply. After learning of Molina’s death in 2013, Schaff spent days pouring over his lengthy correspondence with his friend, with Molina’s oeuvre on repeat. He created the painting that graces the cover of this release in the process: Apropos of everything, a skull-headed creature in flight. This special 7″ release is limited to 3500 copies worldwide. More Info: Mumford & Sons’ RSC exclusive 7″ single features a brand new song called “There Will Be Time” (previously only available in South Africa). The track features Baaba Maal, and was produced alongside Johan Hugo from The Very Best. Limited to 6000 copies. More Info: The very best of Elvis Folk-Country 1966-1973. This special Record Store Day release includes masters from Elvis’ sessions at RCA Victor’s Studio B in Nashville in May 1971, a period in which several folk writers’ material surfaced spontaneously amid gospel and holiday recordings, plus others with similar provenance: from Dylan¹s “Tomorrow Is A Long Time” in 1966, to then-contemporary pop-folk such as “Good Time Charlie’s Got The Blues” in 1973, this is Elvis in an introspective mood, masterfully creating definitive versions of iconic compositions that resonated with him for his friends in the studio – and for us. Limited to 5,000 copies. More Info: Lovingly mastered from old tapes found in a friend’s attic, this is a vintage collection of previously unreleased rarities and early works by one of the guitar’s truly great innovators. The Record Store Day edition features five vinyl-only tracks and sleeve notes written by John shortly before his death in March 2015. More Info: This album brings to the fore classic early blues masterpieces that deserve to be heard and allows the limelight to fall on some of the lesser-known country blues masters. Essential listening for any blues connoisseur, this is an adventure into some of the more hidden recesses of country blues. The Rough Guide To Unsung Heroes of Country Blues is released on vinyl exclusively for Record Store Day 2016. Includes a download card. More Info: This Record Store Day 7″ features two songs – “When Fallen Angels Fly,” an unreleased version of his classic hymn, a tune from the Robert Duvall film, “Wild Horses.” “Wacko From Waco” is Shaver’s account of a 2007 shooting in a bar outside his hometown of Waco. Both tracks are pressed on vinyl for the first time. Limited to 1700 copies. More Info: The world-class singer- songwriters Shawn Colvin and Steve Earle make their duet debut with a delightful Record Store Day 7″ splash: spirited re-castings of the Everly Brothers’ “Wake Up Little Susie” and “Baby’s in Black” by the Beatles. They’ll be singing together again on their first duet project, a full length of co-written originals later this summer. More Info: This Record Store Day two LP set features the live content from the Trace deluxe CD. Pressed on 180 gram vinyl, limited to 3500 copies. More Info: Record Store Day honors the passing of one of America’s greatest musicians, performers and artists with an offering of Rhino’s 2003 Handmade title. This live album features bonus material and liner notes by Billy Vera. Pressed on 180 gram vinyl, it is limited to 5000 copies. More Info: Lucinda celebrates Record Store Day by offering exclusive remixes from her new THE GHOSTS OF HIGHWAY 20 album, including Faith and Grace in it’s truest form, and as it was intended, a full 18 minutes long! Limited to 3000 copies. More Info: This Record Store Day release is limited to 1000 copies pressed on 180g heavyweight vinyl, and includes full documentary film on DVD. This Record Store Day Elite Eecords releases Duct Tape Messiah by exceptional Texan Folk artist Blaze Foley for the first time ever on vinyl. The soundtrack to the 2011 documentary film about the turbulent life of Townes Van Zandt’s companion and close friend literally spans Blaze’s whole musical life. It includes rare archival tracks never released on vinyl before as well as tracks from posthumously released Blaze albums. The limited RSD edition comes with a DVD including the full documentary film. The film beautifully draws the picture of Blaze’s life and times and his extraordinary character. Born in Arkansas, Foley was shot to death way before his time, under circumstances still to be fully clarified. As a homeless, he traveled the streets of the Texan cities to share his music with people in nightclubs and bars. Foley always stood up for the weak, which eventually cost his life. Finally, after a life of rejections and blown opportunities, his work is now gaining recognition. In 2008 his biography Living In The Woods In A Tree was published, followed by the acclaimed documentary about Foley!s underdog life: Duct Tape Messiah. The film’s soundtrack comprises of 14 carefully selected songs from all stations in Blaze’s life and gives an insight into his straight and genuine songwriting. Blaze!s musical heritage was close to being forgotten and much material used on the record are chance discoveries from record shops and old master tapes. More Info: Retrospective of early Left Lane Cruiser material with drummer Brenn Beck, re-mastered and with three previously unreleased tracks (“Chicken”, “Bloodhound” and “Maybe”). Limited edition of 1000 on metalic gold vinyl for Record Store Day. More Info: A brand new 5 song 10” EP pressed on Green Vinyl. Minnesotan Country Blues guitarist Charlie Parr has been building an audience among roots music aficionados for over a decade. I Ain’t Dead Yet features four new original tunes and Charlie’s take on the traditional tune, Old Dog Blues. All songs previously unreleased! More Info: This Record Store Day Exclusive release is limited to 1,000 copies worldwide and consists of a two LP set pressed on whiskey colored wax and much more in a hand crafted custom wood box by Boles Studio, Bronx, NY including an LP-sized 80-page book with exhaustive 20,000 word essay by Sam Sweet interviewing artists, documentary creators and crew, over 100 unseen photos taken during the making of the film, a cast of characters drawn by legendary Austin illustrator Kerry Awn, a reproduction of the original film poster (24”x36”), a region free DVD of the original 1976 film with restored image and sound plus 45 mins of bonus features, including performances by Townes Van Zandt, Guy Clark and others, and download card for full soundtrack. More Info: To celebrate the 10th anniversary of this release, a Record Store Day exclusive edition has been put together with orange vinyl, new liner notes, exclusive new photos and a poster of album cover, autographed by the band.